Hey guys, hope you had a great weekend! It wasn't long enough! Anyway, I am rounding up some super sweet gifts today-all under $25! There's lots of good stuff, so take advantage of the good deals! For the ladies, I was drawn to more of the cute accessories! I mean, look at #10, SO CUTE! I also love #3, the earrings, so cute & only $14! Number 2 is one that I own myself and get so much wear out of and it is just $13! I'm also obsessed with the marble phone case-it comes in other colors, too! For the guys, I am liking #8, really cute! Trey always loves when I buy him socks as presents & I am loving those nutcracker ones! 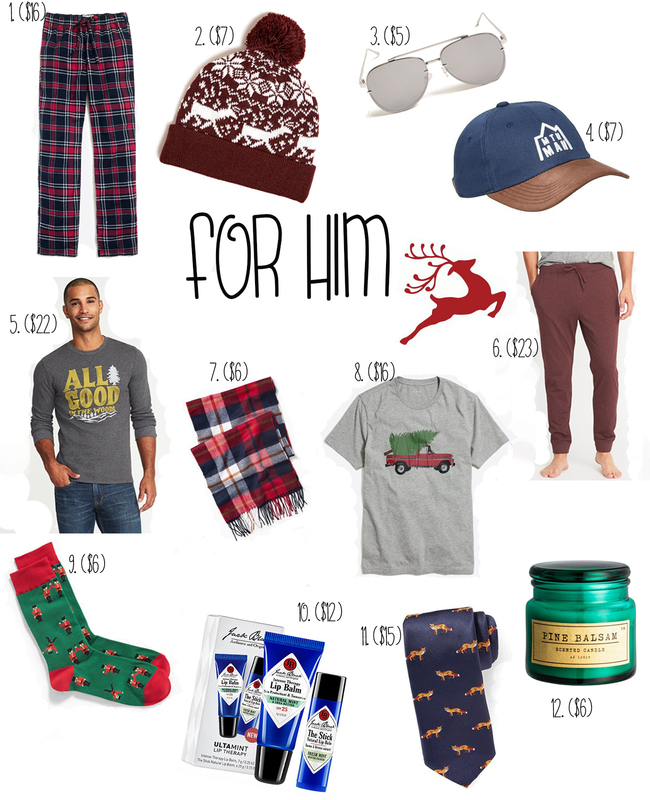 Hope these gift guides are helpful for you! !